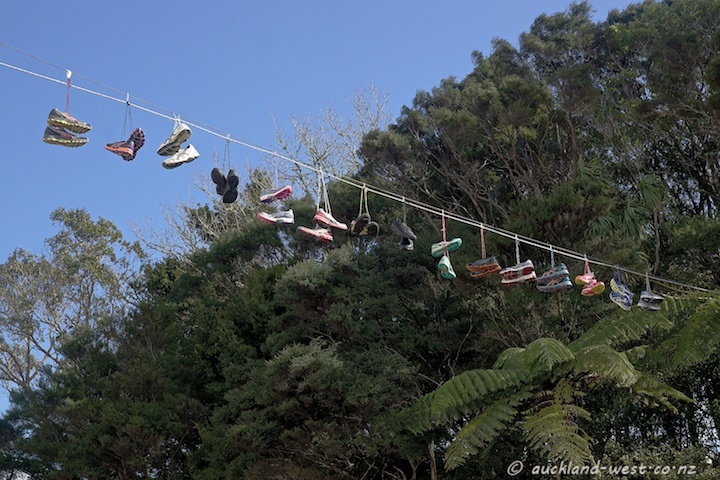 Ryan Ballinger has an exhibition “Ankles Tied” at the Lopdell House gallery (offsite@New Lynn) as well as this installation entitled “Runners High” outside Lopdell House Titirangi. 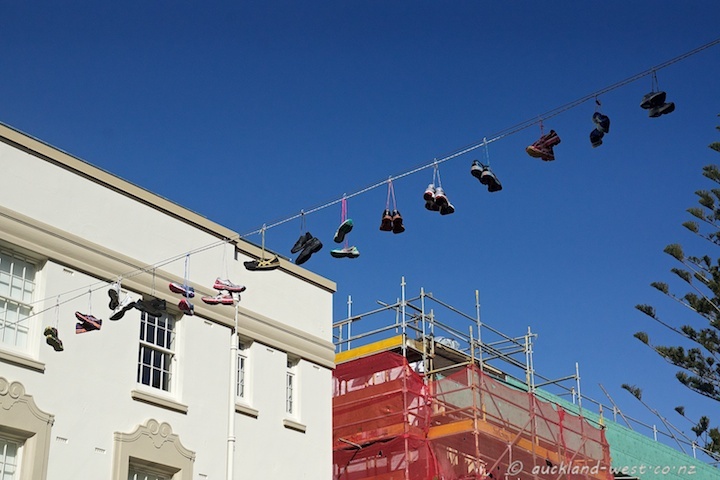 On August 23 there will be a performance “Trust Exercise #1” in which the artist will be running the distance from the offsite location of the Gallery in New Lynn to its new home site in Titirangi (the green bits behind scaffolding in the picture above – hopefully all scaffolding and stuff will have come off by then); guided by walkie-talkie controlled by the curator (who said things have to be simple? ).